This feature has no equivalent in BIDS! 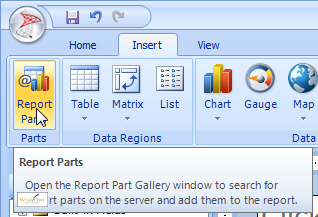 To publish report parts, click on the icon in the top left of the Report Builder window. 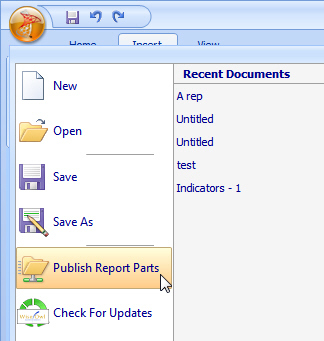 A Report Part is a collection of report items grouped together, which you can reuse again and again. As such this is a good idea - which makes one wonder why it isn't available in BIDS.